Bard Dispoz-A-Bag® Leg Bags are made from heavy duty vinyl for extended wear, odor containment and leak resistance. These leg bags are availablewith the flip-flo™ drainage valve which opens and closes with a simple flip. May be connected to McGuire style urinal, Bardic Uro Sheath and most other urinary appliances. 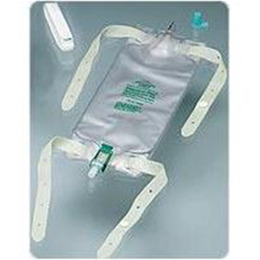 Bard Dispoz-A-Bag® Leg Bags with Flip Flo™ Valve are sterile. Provides extra security and ease of use with the patented flip-flo drainage valve. Provides quality, reliability and dependability. Reusable and lightweight.